Director Barry Jenkins discusses “If Beale Street Could Talk,” his third feature film, and the potential of today’s young filmmakers. Oscar-winning director Barry Jenkins says he “stumbled into filmmaking,” attending Florida State University for some years before discovering its film school. “I went to film school right at the turn between old school cinema and new school cinema,” Jenkins says, “so we actually learned to edit films on these things called flat beds … you have to actually physically cut the film and tape it back together. So, doing that for a full year and then transitioning to what they call non-linear editing, it was shocking. His latest film, adapted from James Baldwin’s “If Beale Street Could Talk,” is a cautionary tale about black life in America in the 1970s, spotlighting the hardships a young couple face navigating a changing world around them. The novel was published in 1974, six years after Martin Luther King Jr.’s assassination in 1968, and a decade after the passage of the 1964 Civil Rights Act. Barry Jenkins on set with actors Dave Franco, Stephan James and KiKi Layne. Photo courtesy of Tatum Mangus / Annapurna Pictures. Baldwin’s literary tone is critical and unapologetic about his analysis of the state of the world around him. He crafts a delicate balance between the beauty and the brutality of America. In Jenkins’s adaptation, that balance is achieved through portraits of moments shared between Tish (played by KiKi Layne) and Fonny (Stephan James), from the streets of Harlem to the West Village, to the bulletproof glass at the Manhattan Detention Complex — or the Tombs. To translate Baldwin’s words into moving pictures, Tish narrates the events that led to her and Fonny’s current status: in love, expecting and fighting for Fonny’s freedom after his wrongful arrest. “If Beale Street Could Talk” is the first English-language adaptation of James Baldwin, a prominent author on race relations in the US during the Civil Rights Era. Photo courtesy of Tatum Mangus / Annapurna Pictures. “If Beale Street Could Talk” is the first English-language fiction adaptation of Baldwin, a feat with its own set of unique challenges. Shot on an ARRI Alexa 65, “Beale Street” gives audiences a close, intimate look at black life. Jenkins is grateful for the ability to capture the intimacies of black family and love, dreamed up by his literary icon, in such a large format. Beyond the new cameras, filmmaking still requires a bit of magic. Enter the editor. Joi McMillon is a longtime Jenkins collaborator. One of the two Oscar-nominated editors on “Moonlight,” she “breathes” Avid on the Mac Pro. McMillon worked with Jenkins and cinematographer James Laxton to bring the film to life. In one scene, Fonny and Daniel (Brian Tyree Henry) spend hours in Fonny’s apartment catching up, moving from small talk to something troubling for Daniel. Jenkins wanted the audience to feel the energy being transferred between Fonny and Daniel. A camera slides slowly between them, a progression deeper and deeper into Daniel’s mind and Fonny’s reaction. From left: Fonny (played by Stephan James), Tish (KiKi Layne) and Daniel (Brian Tyree Henry) in Fonny’s apartment, moments before Daniel opens up about his incarceration in “If Beale Street Could Talk.” Photo courtesy of Tatum Mangus / Annapurna Pictures. That immersion is now a Jenkins staple. Audiences sat at a similar table in a diner in “Moonlight,” and even floated in the ocean with those characters. Today Jenkins, McMillon and the “Beale Street” family are once again on the awards circuit. The film is nominated for three Oscars: Best Supporting Actress (Regina King), Best Original Music Score (Nicholas Britell) and Best Adapted Screenplay (Jenkins). See how Apple Teachers are using Clips for student assignments. Video creates opportunities for students to explore their creative sides, allowing them to do things they never dreamed possible. Xochitl Lara and Sherri Fleischer have each shared two examples of how they’re using Clips, a free app for iOS, in their classrooms to introduce students to the art of expression. Xochitl had her students work in small groups to study alternative energy. Each group researched their favorite alternative energy source and devised a campaign to market it. In past years, groups made posters to demonstrate their learning. This year, students used Clips on iPad to fuel their creativity, producing a commercial to educate their classmates about the benefits of their energy source. This year my students were able to take their learning deeper using Clips. They used the app’s built-in posters and labels to make their commercials pop. For this project, each student chose a geographic location and studied its climate. Using Clips, students unleashed their imaginations by becoming meteorologists and hosting their own local weather show. Instead of writing a report, students created video forecasts of their region’s temperature, wind speed, and humidity like meteorologists do on TV. Clips allowed students to shine a light on their unique creativity. They added built-in stickers and filters to spice up their videos. At the beginning of the school year, Sherri had her students work in groups with Clips to learn common classroom vocabulary words. Over the course of a class period, each group familiarized themselves with a term. They then flexed their creative muscle by making a Clips video about the term to help the rest of the class understand and remember it. In this assignment, students studied a notable invention. They gathered context clues and descriptive words, then created a Clips video explaining the invention without naming it until the end. This activity was particularly impactful for Sherri’s English-language learners because they were able to hear themselves talking and work on their enunciation, pronunciation, and vocabulary. Having students listen to themselves speak and see the Live Titles has improved their ability to critique their own reading and speaking. Instead of breezing through text, they pay more attention to vocabulary words that are unfamiliar. Once they learn the word’s definition, their reading and speaking becomes more fluid and confident. Clips is a fun tool that keeps students engaged and motivated. You can start integrating Clips into your class assignments today. Visit the Clips collection and learn how to use the app, explore more ideas for using it in your classroom, and watch Clips videos made by teachers. Kids today have more resources at their fingertips than ever before. Raised in the digital era, most children have traded outside playtime for iPads and other mobile devices for communication and entertainment. Today’s students are the first to grow up amidst such aggressive advancements in mobile technology, and in order to be smart communicators, educators need to adapt to the latest tech trends. Over the years, tech in the classroom has been met with mixed views. Usually deemed as a distraction, cellphones were banned in a lot of schools, according to an article by The Atlantic. But even back then, eliminating tech wasn’t the solution. Now, it’s safe to say that teachers have learned to embrace educational technology in the name of progress. A previous post here on Teaching With iPad sheds light on the unique ways you can use iPad devices creatively in the classroom, one of which is via augmented reality (AR). In light of recent advancements, teachers are finding ways use AR in the classroom. Students are already using AR-powered apps like Pokémon Go or Snapchat for entertainment, which means that the challenge, then, is to help them learn using this technology. Here are some notable apps to check out for learning. Instead of spending thousands on heavy textbooks for each student, iPads provide a more cost-effective solution. The device is able to deliver interactive content that can be used in the classroom or at home. It is also more portable, making it easier for students to carry and more cost-effective in the long run. Even print materials can come to life on an iPad screen with Layar. This app can scan magazines, newspapers, and other materials, and turn them into rich digital experiences. It is a known fact that different students have different styles of learning that call for personalized methods of teaching. Very Well Family states that students with visual-spatial intelligence learn best when taught using written, modelled, or diagrammed instructions and visual media. These students are less inclined towards auditory-sequential teaching methods such as lectures, recitations, drills, and repetition. AR allows visual learners to grasp concepts better than when delivered by a teacher in class lectures. For chemistry students, Elements 4D puts a face on all the compounds and concepts. The app shows dynamic 4D representations of elements and chemical equations. Students can even combine elements to see the reaction as it occurs in nature. According to Forbes, Virtuali-Tee presents a cool new way to learn about human anatomy. By pointing a device at different parts of a student’s t-shirt that represents the human body, Virtuali-Tee (app link) breaks down human physiology and anatomy for easier learning. AR has the power to take students to places a school bus cannot. Blippar (iTunes link), for example, puts learners right at the center of the solar system as planets orbit around them. Learners have the option to select which planet they’d like to discover more through a single tap. To travel back in history, kids can use Dino Park AR+ (iTunes link), which builds a virtual prehistoric world around their surroundings. Watch in awe as dinosaurs can be seen moving around the classroom. It can sometimes be a challenge to make kids interested in mentally taxing topics like math or science. Often, they have to resort to memory, which has long been proven ineffective in retaining knowledge. Thankfully, AR can make the process worth remembering since it offers more immersive experiences. Those learning English can practice their language chops with Our Discovery Island: Phonic Trickers (iTunes link). The game follows a group of “Tricksters” who escaped from Our Discovery Islands and are stealing letters from the English Bank of Phonemes. Players must chase these phonic Tricksters to “save the English language,” while improving their understanding of phonics along the way. Fete! Lunch Rush, on the other hand, is geared towards students looking to brush up on their math skills. The premise is simple: players must keep up with lunch orders by answering basic math problems and thinking on their feet. This post originally appeared at Tuck. We live in a world dominated by electronics. From smartphones to television, electronic devices keep us entertained, productive, and connected to our work, family, and friends. Our lives are so enmeshed with personal tech that we take it to bed with us – literally. According to a 2014 survey by the National Sleep Foundation, 95 percent of people report using some sort of electronic device within an hour of bedtime, and nearly three-quarters of parents report that their children sleep with at least one electronic device. Technology has fostered a resurgence of the mattress industry, enabling ever-constant design improvements, online availability, and more variety than ever before. It’s also made sleep products more affordable and accessible, leading to popular innovations such as personal sleep trackers and “smart beds” that react to the sleeper’s body temperature. Technology even helps you find articles like this one about how to get better sleep. But for all its benefits, technology seriously interferes with sleep. Regular use of electronic devices negatively impacts how much sleep you get at night, how restorative that sleep is, and how well you function the next day. In this article we’ll explore the various ways technology truly impacts sleep, how it affects children versus adults, and finally, what you can do to power down and get a good night’s sleep (without sacrificing technology completely). How do individual technologies impact sleep? The biggest obstacle tech devices present to sleep is their level of blue light. Blue light is pervasive in modern technology, existing in smartphones, tablets, televisions, e-readers, computers, and even fluorescent lighting. Blue light is the strongest and brightest wavelength, which means it pierces the photoreceptors in our retinas the most intensely. When your brain senses blue light from an electronic device, it perceives it as sunlight. As a result, it assumes it’s still daytime, so it’s not yet time to kick off melatonin production. Melatonin is a hormone that regulates your sleep-wake cycle. It releases at night, inducing sleep. The longer your brain delays melatonin release, the harder it is to fall asleep, and stay asleep. Blue light isn’t the only problem with technology. Electronic devices introduce a wonderful cacophony of beeps, chimes, and sounds into your environment. From texts to calls to Facebook notifications, almost everyone can recall a time when a noise from their phone jolted them awake. Considering one-fifth of Americans go to sleep with their phone ringers on, it’s no surprise than 10% also report waking in the middle night a few times per week as well. Even when a phone is on silent, studies have found that the electromagnetic cellular and wi-fi signals interfere with sleep quality. Certain types of technology deliver content that is stimulating in and of itself. Responding to stressful work emails late at night activates your body and mind. Likewise, watching a dramatic TV show or playing an intense video game before bed keeps your mind alert and triggers that “fight or flight” mode. Your body reacts physically to this kind of stress by increasing your cortisol levels, at the same time delaying or inhibiting melatonin production. All this combines to prevent you from the essential winddown that needs to happen for you to relax sufficiently and fall asleep. Studies have also documented our unhealthy relationship with our phones. A 2016 study of 700 college students separated participants from their phones. They felt so anxious about being apart from their phones, that both their smartphone usage and nighttime awakenings increased. This kind of separation anxiety results in using your phone right up to the moment you fall asleep, further delaying melatonin production and letting cortisol reign. The duration, application, and type of device you use all affect how it interferes with your sleep. For example, interactive tech use, such as playing a video game or texting, has been shown to be more detrimental to sleep than passive use such as watching television. However, passive use is not something to brush aside: one study found that using an iPad for 2 hours at maximum brightness significantly delayed melatonin production. Smartphones and tablets can be especially dangerous because we hold the screens much closer to our eyes than televisions and computers. For instance, a Harvard study found that people who use e-readers as opposed to paper books require an additional 10 minutes to fall asleep. That fact alone might not seem too concerning, but the fact they also released half the amount of melatonin and spent less time in REM sleep certainly is. Regardless of which device you use, one thing’s for sure: the longer you use it at night, the less amount of sleep you can expect to enjoy. Does technology affect children's sleep more than adults? Using technology at night creates even worse sleep problems for children – and poses wide-ranging negative effects beyond that, from academic performance to general health and well-being. Teenagers who report texting or emailing after bedtime – even once a week – also report significantly higher levels of daytime sleepiness, and enjoy a full 30 minutes less sleep than their peers who don’t leave their phones on. Similarly, teens with televisions in their bedrooms tend to have later bedtimes, shorter total sleep times, and a tougher time falling asleep. When children don’t get enough sleep, they have difficulty focusing, processing and retaining information, and are at greater risk of poor health. The negative effects of technology on our children’s sleep are especially problematic because tech use is so normalized. They grew up with smartphones, and are used to living in a world of devices. It’s not uncommon for kids to unwind using technology, whether they’re engaging on social media, watching television, or playing a video game. This leads many children to view their smartphone as a sleep aid, rather than a hindrance. Children with this mindset have been shown to go to sleep later, sleepless, and report more daytime sleepiness than their counterparts. Even if children weren’t already comfortable with technology, it’s forced on them anyway. The majority of homework assignments require computers to be completed, and since homework is done after school – in the late afternoon to late night – children are stuck sitting in front of bright electric light for hours on end. Worse, competing priorities from work, school, and extracurricular activities make it difficult to squeeze homework in earlier versus later. The infographic below, created by student bloggers at Rasmussen College, reveals the various ways technology affects the sleep of young people in particular. Be a good sleep role model. From the day they’re born, your child looks to you for guidance in all walks of life, including sleep. So it’s important for you to practice good sleep habits yourself, to encourage your child to follow in your footsteps. The National Sleep Foundation found that if their parents don’t have an electronic device in their bedroom, their children are much less likely to, as well. More on this in the next section. Get your children in the habit of reading before bed. Children who read from an early age have better literacy rates and emotional intelligence. Plus, the cognitive benefits of bedtime reading continue through the pre-teen years. Creating a habit of reading before bed early on makes it easier for kids to keep up with it as they age – instead of replacing a book with their smartphone. Explain the effects of technology on sleep to your child. No one likes to be told what to do, and that’s especially the case for teenagers, as many parents will attest. Rather than telling your child to turn off the computer and go to sleep, educate them on how technology affects sleep. Then empower them to make their own decisions. Reorganize your child’s schedule to make more time for sleep. With increasing demands and fears of not doing enough to get into the best college, it’s easy for teens to get overbooked. Consider removing one or two activities from their schedule. Work with your child to find a way to get homework done earlier, so they can live with a bit less stress and a bit more sleep. How should you power down to get a better night’s sleep? So, what can you do to get a better night’s sleep? Here are our top recommendations. Remove electronics from the bedroom. This is your best bet for saving yourself from technological disturbances during the night. Not only will you benefit from a peaceful lack of light or noise, but it will also help train your brain to view your bedroom as a place for sleep – not work, socializing, or surfing the internet. Stop using blue-light devices (including phones, computers, TV, tablets, and e-readers) at least 30 to 60 minutes before bed. If you can’t possibly imagine what to do for an entire hour before bedtime, here are some ideas: practicing yoga or meditation; reading a book or magazine; listening to audiobooks, podcasts, or music; or talking to someone IRL in your house. During the day, practice not responding to emails, texts, or other notifications immediately. This helps you gradually lessen your cortisol response so you feel less dependent on your phone and can leave it in another room while you sleep. Generally limit your electric use during the evening to less stimulating activities, such as using social media instead of playing a video game. Turn off notifications with “Do Not Disturb” mode. Many phones now include a feature that prevents notifications, sounds, or vibrations from going off, except for items you specify (such as texts or calls from your spouse). If you can’t help using technology late at night, at least use “night mode.”Most smartphones and e-readers now come with this feature installed. Turning it on changes your screen to use primarily red light instead of blue light, so it’s overall dimmer and less intense on your eyes. For older devices, invert the color setting at night so the background is black with white text. You can also download apps that will do this for you. Alternately, dim your device and keep it at least 14 inches away from your face. Limit your exposure to light at night. Besides your devices, the light around your home can also keep you up at night. Use dimmers or softer light bulbs. Don’t shine light toward your eyes – opt for lamps over overhead lighting. If you live on a street with lots of light pollution, get blackout curtains for your bedroom. Then, when you wake in the morning, the bright light from the sun will help jolt your body awake even more. Set up a regular bedtime routine and practice good sleep hygiene. Go to sleep and wake up at the same time every day. Avoid caffeine, alcohol, drugs, and overly sugary, spicy, or fatty foods in the evening. Keep your bedroom cool, in the mid-60s. Get a great mattress. The best way to motivate yourself to get to bed earlier is by turning your bedroom into a place you can’t wait to fall asleep in each night. Choose a top-quality mattress that supports your unique sleep style. We’ve made it easy – we’ve combed through over 95,000 customer reviews to find the best mattresses around. “Sleep and use of electronic devices in adolescence: results from a large population-based study”: In 2012, Norway researchers looked at the sleep patterns and use of electronic devices during the day and night in nearly 10,000 adolescents aged 16-19. They found technology use worsened sleep across the board. “Effects of Filtering Visual Short Wavelengths During Nocturnal Shiftwork on Sleep and Performance”: A 2013 study by the University of Toronto observed that bright indoor light suppresses melatonin production, but that wearing blue light-blocking goggles can reduce the impact of blue light enough to make it comparable to being in dim light conditions. “High sensitivity of the human circadian melatonin rhythm to resetting by short wavelength light”: In 2003, Harvard University researchers discovered that blue light suppresses melatonin for twice as long as green light, and shifts circadian rhythms by the same amount. “The impact of light from computer monitors on melatonin levels in college students”: This 2011 study compared the effects of using a computer without goggles, with orange safety goggles, and with goggles emitting blue light. Those who used blue-light promoting goggles had significantly lower melatonin levels than the others. “Light level and duration of exposure determine the impact of self-luminous tablets on melatonin suppression”: In 2013, researchers monitored participants’ use of iPads at full brightness, and found that while one hour had minimal effect on melatonin release, two hours significantly did. “Exposure to Room Light before Bedtime Suppresses Melatonin Onset and Shortens Melatonin Duration in Humans”: A 2011 study shows the impact even room light has on our melatonin production. Individuals were placed in rooms with either dim light or normal indoor lighting in the 8 hours before bedtime, and the ones in room lighting conditions experienced shorter melatonin durations by 90 minutes. “Sleeping with technology: cognitive, affective, and technology usage predictors of sleep problems among college students”: This study of over 700 college students revealed that smartphone dependence and related anxiety increased both the student’s usage of their phone as well as their nighttime awakenings. “Evening use of light-emitting eReaders negatively affects sleep, circadian timing, and next-morning alertness”: Harvard researchers found that using portable electronic devices like e-readers delays circadian clock and melatonin production, and reduces the amount of REM sleep and alertness the following day. “Adolescent Sleep Patterns and Night-Time Technology Use: Results of the Australian Broadcasting Corporation’s Big Sleep Survey”: A 2014 study of Australian teenagers uncovered that over 70% of them kept at least 2 electronic devices in their bedroom. The surveyors also found correlations between nightly computer use and shorter weekday sleep, as well as nightly cell phone use and sleeping in on weekends. “The Use of Technology at Night: Impact on Sleep and Health”: This study had several notable findings, including that the amount of devices used increased the resulting sleep issues. This blog first appeared on EdTechTeacher. All students can learn math. Better yet, all students can love math. And even more importantly, all students can excel at math. And when classrooms go one-to-one with iPads, this enhances opportunities to foster the mathematical mindsets of students in the classroom. Carol Dweck and Jo Boaler believe math is the subject most in need of a mindset makeover, and I think integrating technology helps with that transformation. Math class no longer has to be a traumatic experience for so many students (and their parents and teachers). This blog post is rooted in Jo Boaler’s (2016) book Mathematical Mindsets: Unleashing Students’ POTENTIAL Through Creative Math, Inspiring Messages and INNOVATIVE TEACHING. In this post, I suggest five ways to foster mathematical mindsets using iPads in the classroom based on the thoughts, theories, and pedagogies recommended by Boaler. Help students make relevant connections to mathematical concepts by photographically capturing the world around them using the iPad’s camera. Teach students to document patterns and appreciate the aesthetics, creativity, and beauty of the art of math. For example, allow students to take pictures of the spirals in flowers, pine cones, or pineapples to explore the Fibonacci sequence and the golden ratio. When students see that math is all around them, they begin to understand the role it plays in their lives. Capturing video using the iPad’s camera is another powerful, and often overlooked, way to document math in the real world. Using the Slo-mo and Time-lapse features, students have the ability to drastically slow down or speed up video recordings, allowing them to analyze, synthesize, and critique film to better see math in action. Imagine using Time-lapse to record a spider weaving a web, water rising to the boiling point, or snow accumulating on the ground. Or using the Slo-mo to slow down a basketball shot, an egg dropped to the ground, or a chemical reaction. When students see math in action, they are better able to understand rate, speed, time, velocity, and more. In mathematics, metacognition and reasoning are critical to a student's mathematical mindset. Two tools used together on the iPad that can help enhance metacognition and reasoning are Drawing and Screen Recording. While using any of the three apps in Apple’s iWork suite - Pages, Keynote, and Numbers - students can insert a Drawing into their document to work out math problems (tap the Insert button, tap the Shape button, then tap Drawing). Simultaneously, while working out the problem, they can use Screen Recording to capture their thinking (learn how to Screen Record on the iPad HERE). Students can share their recordings, and they can critique the reasoning of others. These processes increase engagement and enliven the mathematics classroom. Boaler recommends conceptual mathematical activities to help students learn numbers and number facts, and the iPad offers a variety of ways for students to engage in those types of activities. In the Pages, Keynote, and Numbers apps, there are more than 500 shapes and objects students can use as digital manipulatives, allowing students to visualize math concepts. Using shapes will help them better understand basic math functions and will also increase their spatial reasoning as they start to make connections to math facts. Brain science shows that when students make connections using these strategies, performing mathematical tasks is more accessible. Reflection is often a critical component missing in mathematics instruction. To foster a mathematical mindset using the iPad, teachers can help students see that math is about thinking, sense-making, big ideas, and connections, and not just memorizing facts and steps. Clips lets students reflect on their learning using pictures, videos, posters, filters, graphics, and more. Instead of assigning more problems for homework, consider assigning a reflection question for students to answer. This will help students think conceptually about big ideas and encourages self-reflection. More importantly, these Clips can be used by teachers as formative assessment that helps guide their instruction. Math teachers often struggle with effectively integrating iPads into their math instruction. Hopefully, these strategies will not only help you begin to transform teaching and learning in your mathematics classroom but will also help foster a mathematical mindset in your students, leading to a greater appreciation of mathematics and higher levels of achievement. In what ways are you fostering a mathematical mindset in your classroom using iPads? I’d love to hear your stories and feedback on Twitter. You can connect with me at EdTechMason. When I was a high school English teacher, we were using a proprietary learning management system (LMS) that was not user-friendly. My team and I were searching for something to replace our clunky LMS, and even though Google Classroom is not a full-fledged LMS (yet), its ease of use, and ability to distribute, collect, and organize content quickly became our go-to resource. At the time, Google Classroom was just coming out of beta (just in time for the new school year), and it quickly began to change the way students and teachers interact inside and outside of the classroom. As more educators are gaining access to Google Classroom, especially now that it’s available outside of school domains, I will offer up five non-traditional ways to use Google Classroom. As a hub, educators can leverage Google Classroom in ways they may not have initially thought. Every G Suite for Education school that uses Google Classroom has a G Suite Administrator. This is usually someone in your district’s information technology department. This domain administrator has granular controls over the district’s G Suite account. A useful option that the administrator can turn on is the ability to allow outside domains to join a Google Classroom. With this option turned on, teachers can create a community where parents can receive updates, newsletters, and other resources all in one place. This goes beyond Guardian Summary which sends parents an email summary of their child’s missing work, upcoming work, and class activity. Teachers can disseminate and collect permission slips, schools can share letters, and districts can share notifications all in a flash. There are so many possibilities, but imagine if every parent used Google Classroom to stay up-to-date on what was going on in their child’s classroom, school, and district. It can redefine parent communication. There are many different ways campus level and district level administrators can leverage Google Classroom to increase productivity, organization, and communication. Principals and campus evaluators can use Google Classroom to collect teachers’ lesson plans. Department heads can use Google Classroom to share department meeting agendas. Instructional coaches can share resources with teachers in their departments. Superintendents can keep administrators up-to-date on district business. Similar to how teachers can distribute, collect, and organize content, school and district leaders can do the same processes with their teams. Special education (SPED) teachers have unique roles on campuses because of the varied ways they interact with both teachers and students. They can leverage Google Classroom to manage the students and teachers on their caseload. Google Classroom can make it easier for SPED teachers to communicate and collaborate with students and teachers. Because of the SPED teachers’ unique role of working with students and teachers in multiple grade levels and subjects, Google Classroom can help them streamline their workflow and maximize their impact. For example, a SPED teacher can have a Google Classroom where all of the “students” in the class are teachers on his or her caseload. The SPED teacher can then quickly and securely share documents with each teacher. If you are an educational leader who facilitates training and professional development, Google Classroom is a great tool to use as the hub of your campus or district level PD sessions or at conferences. All resources for the PD can be in Google Classroom. Also, Google Classroom will aid in controlling the focus and the flow of your training. And just like with teachers and students, workshop facilitators have an easy way to distribute, collect, and organize materials. Teachers, teams, schools, and districts can leverage Google Classroom for vertical and horizontal alignment as well as for other interdisciplinary collaboration. Imagine all 4th-grade students school-wide being students in the same Google Classroom with their teachers working collaboratively as co-teachers. It creates an environment where students can collaborate, learn, and grow from even more of their peers. Maybe they are discussing the themes in a book, new concepts learned in math, or how their science projects are solving sustainable development goals. Connecting more students and teachers through Google Classroom helps enhance the learning experience and foster new levels of collaboration. These are just a few of the many innovative ways educators can use Google Classroom. Think about how many other non-traditional ways you can use Google Classroom to transform teaching and learning to enhance communication, collaboration, critical thinking, and creativity in your school or district and please share them with me on Twitter. On Tuesday, March 27, 2018, at Apple, Inc. hosted a Special Education Event in Chicago, Illinois at Lane Technical College Preparatory High School. This was the first time in six years that Apple has hosted such an event. In those six years, the education landscape has changed dramatically with the Cupertino kids losing significant market share in K-12 education to Google and its G Suite for Education and Chromebooks. iBooks Author has been out for years, but students and teachers had to have a computer to create digital books. Now iBooks Author is available on the iPad in Apple’s word processing application Pages. This allows students and educators to easily create books using the iPad. I love when students have different ways to show what they know, think, feel, and understand, and this is a great new option for iPad classrooms. I can also see students creating interactive notebooks and so much more using this tool. Schoolwork is Apple’s answer to Google Classroom. The Schoolwork application will be out this June (in beta) and will help teachers distribute and collect assignments, monitor student progress, and collaborate with students in real time. I’m excited about the possibilities this brings to the iPad classroom, and how it will help teachers streamline productivity and save time. This app is long overdue (pun intended). ClassKit is Apple’s newest API. This update is geared towards developers but has huge implications for educators and students. With almost 200,000 iPad apps made especially for educators, this update can be integrated by them all. ClassKit allows third-party apps to connect and talk to Schoolwork. In other words, teachers will be able to assign, assess, and monitor students’ progress in third-party apps using Schoolwork. Teachers will also we able to assign a specific task inside third-party education apps. This is a feature that does not exist in Google Classroom. Tynker, Nearpod, and Kahoot are a few of the third party developers Apple gave early access to the ClassKit API. Apple already has the Everyone Can Code curriculum to help educators foster computational thinking and problem-solving in the classroom. They are now releasing a new curriculum for students and teachers to help foster creativity through video, music, photography, and drawing called Everyone Can Create. This curriculum will help bridge the gap between the arts and core subjects to help enhance teaching and learning. Everyone Can Create curriculum will help educators help students to not only be consumers of information but creators of content. Classroom has been available on the iPad for almost two years and allows teachers to push apps, links, and more to student iPads in their classroom. It also allows teachers to group students, view student screens, and lock student iPads. Classroom is now coming to the Mac. This was a question I often received from teachers when I introduce them to the Classroom app. It would be nice to see Google offer something free and natively like this similar to Apple. What are your thoughts about Apple's announcements? Did you want more? Are you excited about today's announcements? Let me know on Twitter. Recently, I have had the privilege and honor of sharing my passions with other educators on various podcasts, so I decided to collect those podcasts here to share with you. I talk about becoming a Google for Education Certified Innovator and help to pull back the curtain on the Google Innovator process. 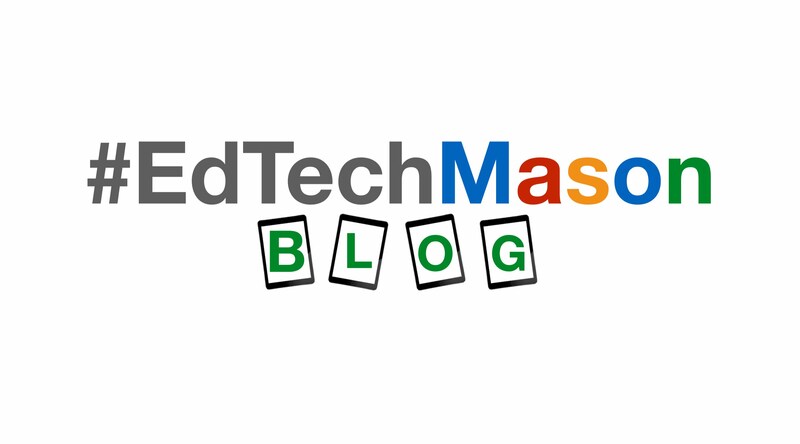 From Gabriel-- "I had the privilege of sitting down with Mason (@edtechmason) on this episode of The EdTech Bites Podcast. If you know anything about the EdTech movers and shakers in Texas, then you probably know or know of Mason. This is the first episode with no food is involved but it is still good conversation, which included food talk. Specifically, Dallas, Forth Worth eats. He gives us some insight into his journey to where he is now. He’s served as a people person with Apple, a teacher, and more than anything, an advocate for Educational Technology. 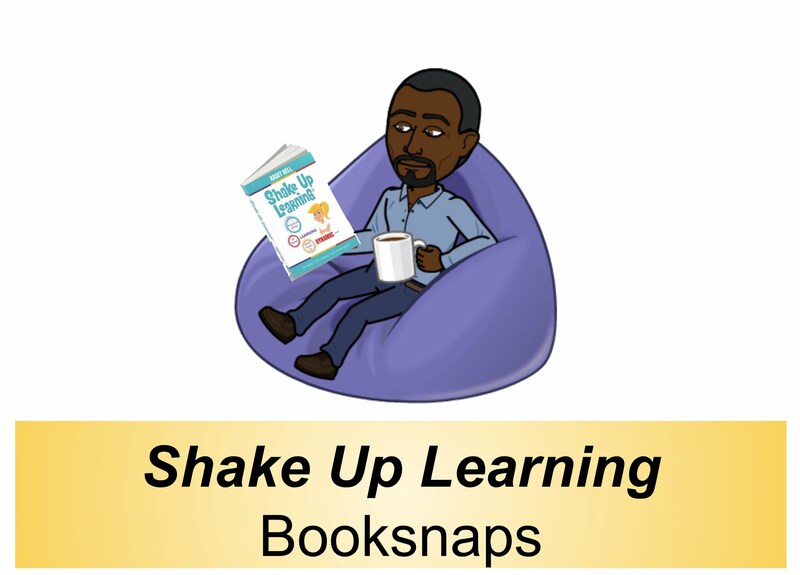 He’s now an Education Technology National Instructor for EdTechTeacher and travels while sharing his dominoes (listen to this episode to know what I’m talking about). I promise you, you’ll be engaged and more than anything, inspired. As always, Enjoy and Buen Provecho!" I sat down with David and Jeff live at the 2018 Future of Education Technology Conference (FETC) in Orlando, Florida to talk about my session using Nearpod and education technology in general.